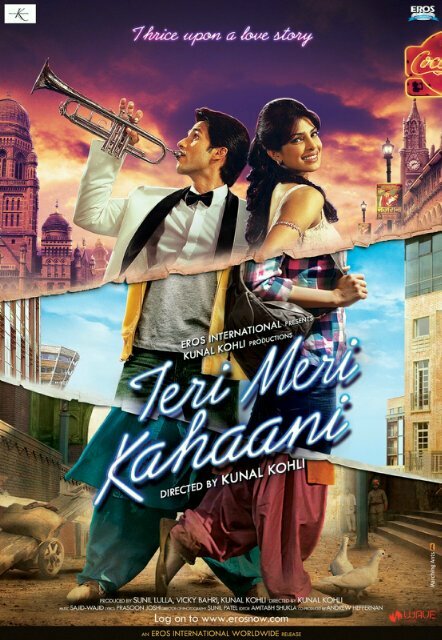 In the film, both Shahid and Priyanka will be seen in three different avatars over three time spans — 1910, 1960 and 2012, akin to Three Times, which features three separate love stories chronologically set in 1911, 1966 and 2005, with actors, Shu Qi and Chang Chen. The 2005 Taiwanese film was and won several awards. However, Kohli says his film is different. “I have not seen the film (Three Times) to begin with, but someone told me about it while I was making the movie and I happened to read about it. But I would still say our film is completely different. It is just a coincidence,” he says. “There is no similarity between the two films. Nowadays, if you want to remake a film, you just buy the rights and make the film. So, if I wanted to make Three Times, I would have bought the rights,” he adds. 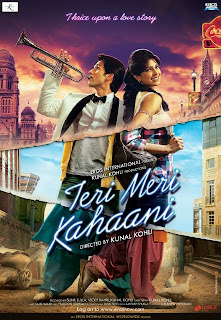 As for the first trailer of Teri Meri Kahani, there seem to be a few sections that are somewhat similar to Shahid’s last film, Mausam, where the hero happens to meet the leading lady, actor Sonam Kapoor, in three different situations. But, according to Kohli, every love story has the basic element of love, meeting and parting ways in some way or the other. “To meet and part ways is there in every love story, be it Dilwale Dulhaniya Le Jayenge (DDLJ), Kuch Kuch Hota Hai, Fanna, Hum Tum, or, Veer Zaara. If you see any popular romantic film, it will have a love story that is all about meeting and parting. But what is different is how the lovers meet, and how they part ways. The treatment of this film is also different,” says Kohli.